This stubby GTI custom fixed blade is made from a thick stock of stainless steel with a bead blasted/acid washed finish. 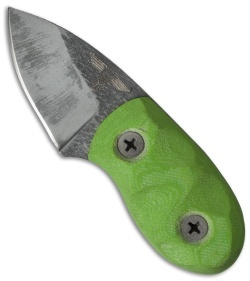 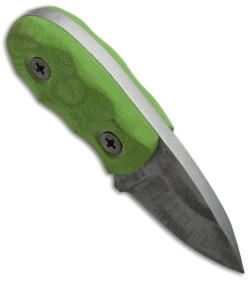 Its green G-10 handle has been milled for added grip security, and features crosshead screw hardware. 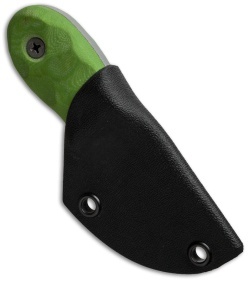 Includes a Kydex sheath.